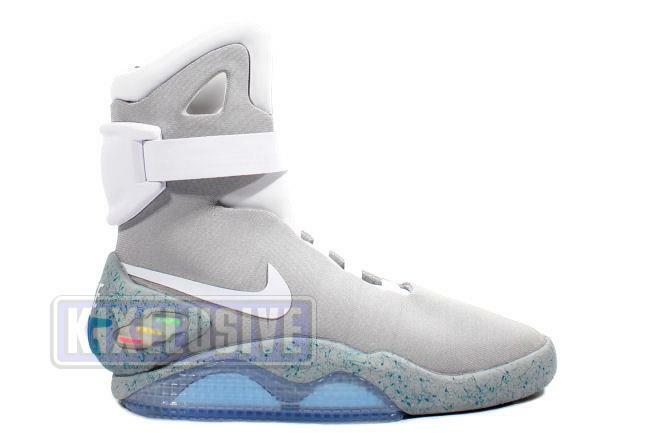 Info: The Nike Air Mag is the first rechargeable footwear from Nike. 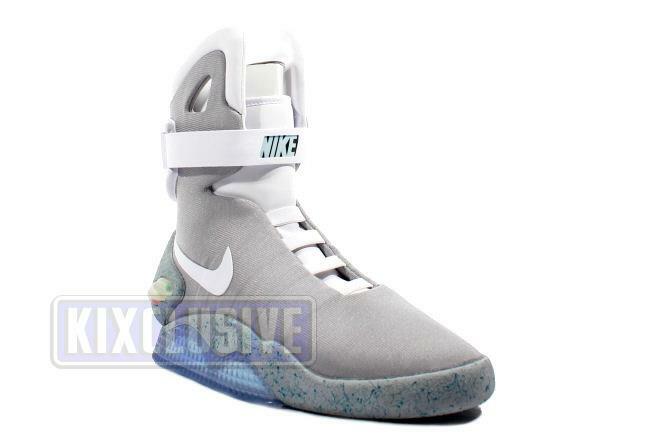 They were designed as identical replicas worn by Marty McFly in the Back to the Future II movie. Some of the elements include the upper contours, the glowing LED panel and the electroluminescent Nike logo in the strap. 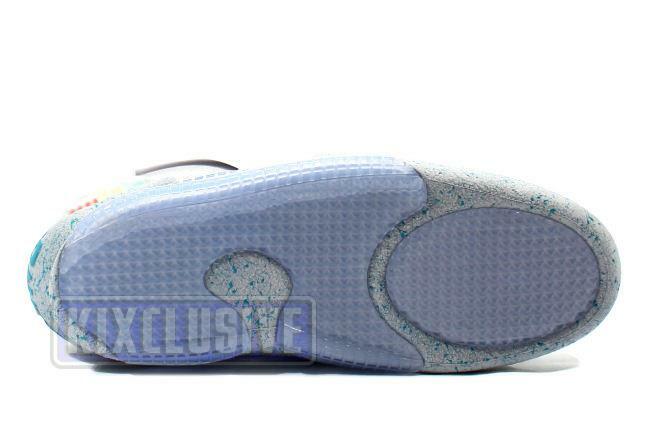 The Nike Air Mag actually illuminates with the pinch of the ear of the high top, glowing for five hours per charge and a total of 3000 hours for the life of the battery. 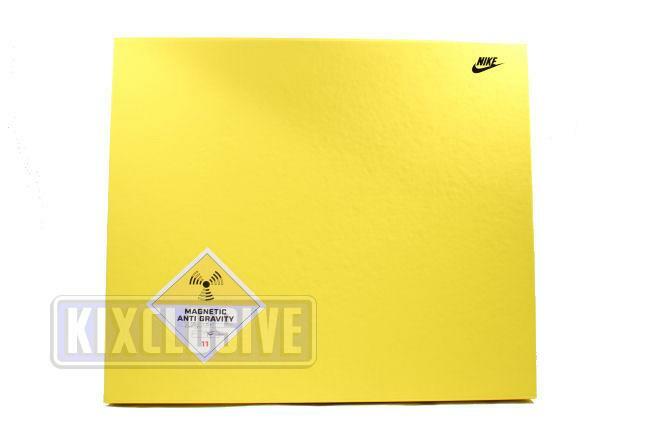 Only 1500 pairs were made and all were auctioned on eBay to benefit Michael J. Fox's Foundation for Parkinson's research. 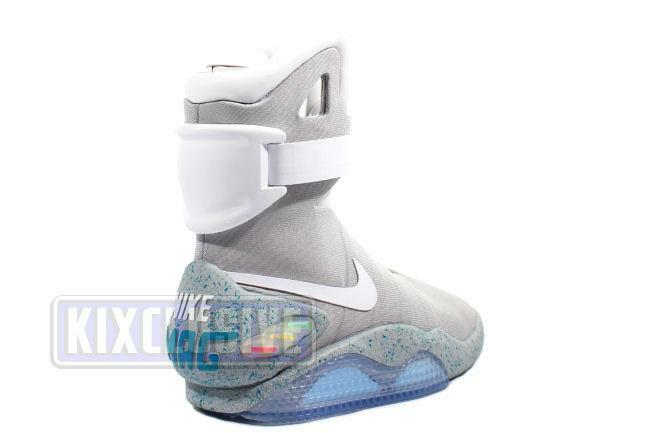 The shoes come with a battery charger, commemorative pin and special anti gravity magnetic case. Note: The size 9 does not include the booklet containing the CD, poster and license plate.